Are you drowning in a sea of data? Would you like to take control of your data and analysis to quickly answer your business questions and make critical decisions? Do you want to confidently present results and solutions to your managers, colleagues, clients and the public? Are you a champion of analytics in your organization helping others learn how to analyze and make sense of their data? 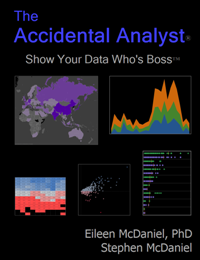 If so, The Accidental Analyst: Show Your Data Who’s Boss is for you! Although you didn’t plan for a career as a data analyst, you’re now in a position where you have to analyze data to be successful. Regardless of the software package that you use, we’ll walk you through a clear, step-by-step framework using illustrated examples to help you understand and apply the analytic process to find answers to real-world questions. 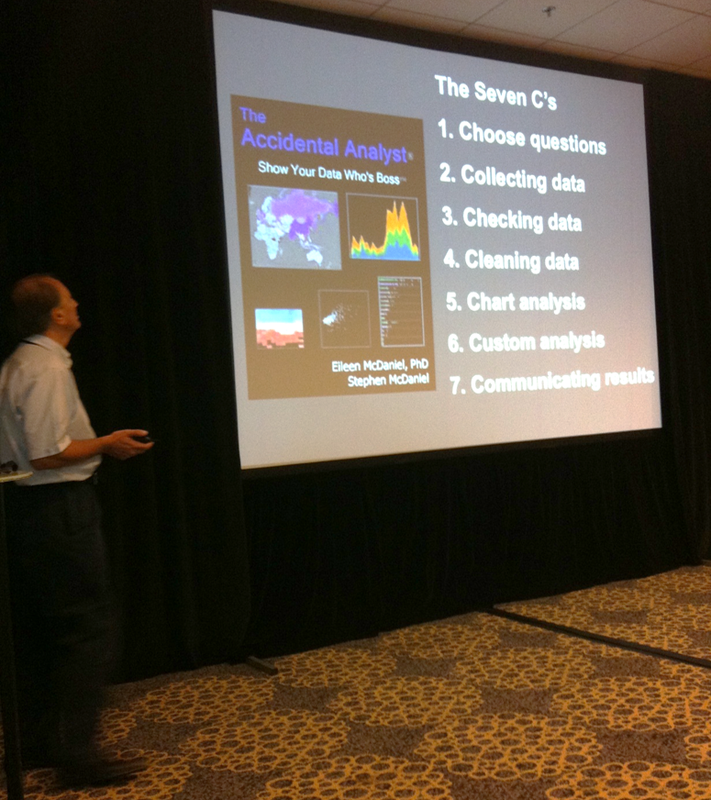 We call this flexible framework The Seven C’s of Data Analysis. Read this book for inspiration, ideas and confidence to begin tackling the problems you face at work. Keep it by your desk as a reference on how to organize, analyze and display your data. Throughout the book, we also include expert tips, tricks, and shortcuts that took years of analyzing data to discover and understand! Order your copy of "The Accidental Analyst" at Amazon. “This is a wonderful book, filled with practical advice. Best-selling author, "Show Me the Numbers" and "Now You See It"
“Finally, a book that clearly explains the fundamentals of business analytics! who want to make sense of their data and take charge of their business! One of the "8 great books about data visualisation". In his only talk at the 2012 Tableau World Conference, Pat Hanrahan discussed our book, The Accidental Analyst, as a foundation of his presentation. He said our book changed how he thought about analytics and inspired him to change his approach to teaching courses at Stanford.